Eyes are the windows to the soul! That is why regardless of your age or physical health, an annual comprehensive eye exam will help you stay one step ahead of any surprises. 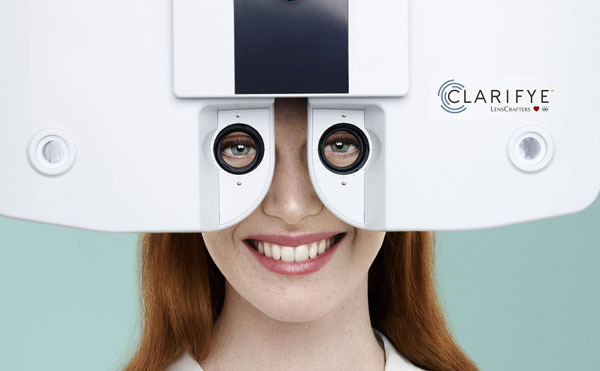 Clarifye, the new digital eye exam from LensCrafters, is the best way to have an exclusive eye exam. Get rid of the guessing game! With Clarifye, the doctor will not bombard you with question after question seeing what works best with your eye. It is a lot easier now, because the digital exam reduces the guesswork of the exam and the results and way more precise than ever! The Clarifye digital eye exam, which lasts only about sixty seconds, is so accurate that is maps the curvature of your cornea to give your doctor a digital fingerprint of your eye. This can help so many doctors pinpoint the small changes that can occur in your eyes over time and better cater to your eye needs. Also, Clarifye is a great option for children because the precision is so precise that it reduces the reliance on children answering questions about their vision and prescription. This will make it easier for doctors to test the vision and get a more precise outcome for children. The fascinating thing about Clarifye is that doctors can show parents what a children’s vision will look like before and after a prescription. This new way of testing allows you to get a quicker and deeper dive into your vision that makes sense! Using 3-D technology that distinguishes it from other lens tests, Clarifye simulates how well you will see with your new prescription versus your old. 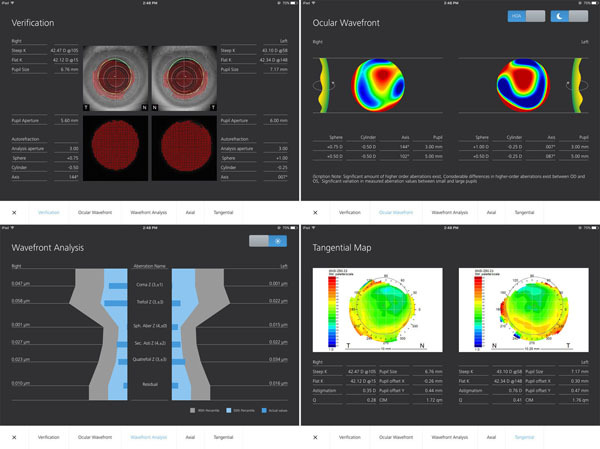 This allows doctors to provide patients a greater understanding of their eye health. That is why everyone should be ahead of the game and go onto www.lenscrafters.com/Clarifye to schedule an exam today!! !